Last week I posted a list of the Top 10 gift items for bookworms this holiday season, and they’re all pretty good. However, in a perfect world, those might not be the very best gift items bookstores have to offer. My friend and I have a game we like to play called Fantasy Restaurant, in which we list all of the menu items our ideal restaurant would make available on any given day. Today, my Fantasy Restaurant menu would consist of my step-dad’s chicken and dumplings, the carne guisada from La Mexicana, and the croissant from Down House. It’s a weird meal, but it’s cold outside and that’s what I want, and it’s my fantasy restaurant, dammit. 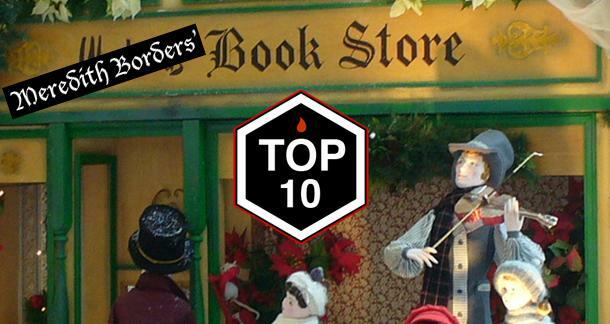 Below are the ten items I wish I could purchase from my Fantasy Bookstore. They’re what I’d find in my stocking if I were a very good girl in an alternate universe with much cooler retail options. This is actually an idea I always wanted to make for myself, but I’m lazy and a bad photographer, so I grant this gift to thee, universe. Take it and make it happen. I want a coffee table book collecting the most ridiculous, audacious, offensive and hilarious church sign messages across southern and middle America. In my hometown of Lufkin, Texas, alone, I could fill up the book in a month of Sundays. There are hundreds of Babysitters Club books, and I want all of them. For my nieces! I want to know what shenanigans Kristy, Claudia, Stacey, Mary Anne, Dawn and, to a lesser extent, Mallory and Jessica get up to in their decades-long fictional existence. Right now, we can all collect shabby paperbacks from eBay, but I want a shiny new box set…for my nieces! I promise it’s for them! A few versions of this are blowing around, but none of them reach the majesty of my imagination. I want a set of The Hobbit, Fellowship of the Ring, The Two Towers, Return of the King and every appendix affiliated with Middle-earth in one massive, leather bound collection, including crinkly tea-stained maps, full-color illustrations, ribbon markers and vellum pages. I want it to be prohibitively expensive and I want to buy it anyway. One of my prized possessions is a Dame Darcy Illustrated Jane Eyre, a richly designed volume with magnificent prints enhancing one of my all-time favorite novels. It’s the only Vic Lit work Dame Darcy has done, but I would absolutely treasure a similar copy for works by all of the Brontës, Jane Austen, Dickens, Wilde, Thackeray, Eliot, Hardy and others. The constant refrain of my life: I want an app that integrates my Audible and Kindle accounts. I would easily pay double for a book available as both an eBook and audio book in an app that kept my place between formats, so I can continue absorbing that book wherever I go. I actually do my own, sadder version of this, recently buying The Twelve on my Kindle and Audible account, switching back and forth as I drove or read at home, but it’s tough finding my place between the two formats, as audio books don’t use the original chapter breaks for their tracks. This seems like it should be easy to invent, so get on it, scientists! I want to read the wildly successful sci-fi romance published by Marty’s dad at the end of Back to the Future. I like the title, the cover’s neat, George is a cool cat and I trust his talent. I’ve always wished that Zemeckis had commissioned a real version of this book, much like Lynch did with Laura Palmer’s Diary. Come on, art people. I can buy a hand puppet of this book, I can buy a DVD of Evil Dead that looks like this book, but I want the book. It doesn’t even have to raise the dead! I just want an elaborate prop replica with creepy illustrations that actually includes information on the making of the film. How hard is that? With a new Evil Dead coming up, the time is right. I would pay top dollar for that merch. I have a lot of movie book ideas. This would also be a book about the making of Jurassic Park, one of my favorite movies, and it would have incredible art from the film and also pop-up dinosaurs. Really the best of every world, that. How does this not exist already? A coloring book based on the designs of the great Saul Bass, be they his movie posters, his children’s book Henri’s Walk to Paris, or any other of his beautiful artwork. The sparse lines and eye-catching illustrations would translate very well to a coloring book. I know I’m not alone here. The wonderful young adult books Suzy reads to Sam in Moonrise Kingdom caught the imagination of many viewers, and director Wes Anderson threw us a bone with this lovely animated video inspired by them. But I want to actually read them, to hold those beautiful covers in my hand! I’m never satisfied. So that’s what’s for sale in my Fantasy Bookstore. What’s in yours? Speak up in the comments! I will get on the waiting list for the Necronomicon and the Church Sign Coffee Table Book. My favorite church sign ever: "God wants spiritual fruit, not religious nuts". I want a Hitchhiker's Guide to the Galaxy tablet. 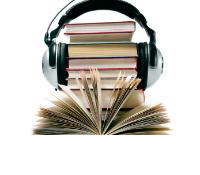 The Audible/Kindle integration already exists, it's called Whispersync for Voice: http://www.audible.com/mt/wfs/narrow. It doesn't work for every book, but there are thousands that it does work for. It's a great way to move through massive novels. Totally and completely agree with #2.